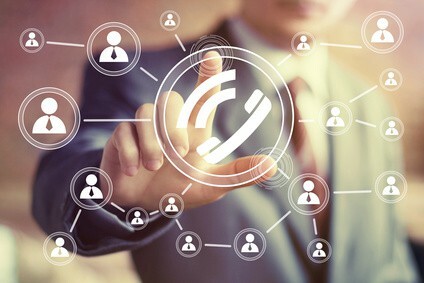 Much attention has been paid to VoIP’s cost saving advantages, but the important contribution that VoIP has to marketing is often forgotten. The contribution of VoIP is important even when planning a marketing campaign. VoIP video conferencing is an excellent alternative to the inconvenience of arranging meeting places to suit everyone involved. It can make a vital difference because it enables the logistics to be more practical and affordable. The VoIP system from Dialogic Telecom eliminates the need to pay for an additional service to host multiple callers as it is already one of the added benefits for video conferencing. VoIP allows you to choose any geographical number for your business no matter where it is actually located. This feature enables you to give your business a local appeal in any region and helps a company to build trust with clients in new areas. During marketing campaigns this may improve interaction and a greater likelihood for conversions. A choice of phone numbers is also beneficial when monitoring the success of your advertisements. By using different numbers for individual adverts, you can determine which one is working best by observing the correlation between responses and sales. Unlike some other VoIP providers, Dialogic Telecom has no ongoing service charge for using these numbers. By integrating VoIP with your CRM system, your marketing team can easily access and utilise customer data with a click-to-dial feature. This facility also allows improved and more personalised communication between the team and client in response to inbound calls, thus improving customer relationships. While a caller is using the IVR service on your phone system; an ‘On-Hold’ message can be incorporated to create an outbound marketing campaign or seasonal greeting. IVR may also be used to conduct automated customer surveys and feedback. An efficient business telephone system streamlines good communication between an organisation and its customers. Unlike conventional telephony, VoIP can cope with a greater rush of incoming calls so that your business does not miss a single lead. Adding extra users may be necessary, especially in times of high demand such as a large marketing campaign. This will provide a more competent response to ensure customer satisfaction and improve conversion rates. Dialogic Telecom can facilitate this on a rolling monthly contract if required. This support will eliminate the cost of a long term commitment. Besides the gains in terms of lower costs, your company will value the way VoIP technology allows flexibility to meet your changing marketing needs.